Does budgeting seem like too much hard work for not enough of a reward? A lot of people today know that they need to get better with their spending habits, but they simply don’t have the patience to work on their budgeting skills. The unfortunate truth is that if you want to make a significant and sustainable change to your spending habits, then you need to be willing to understand and track your expenses. If you’re ready to make the plunge in 2019, we’ve put together a list of some the simple things that you can do to make the most out of your budget and keep over-spending to a minimum. A schedule is an often-overlooked and under-appreciated part of the budgeting routine, but it can also be a valuable way to transform your spending habits. For instance, if you know that certain bills are coming out of your bank account at the beginning of the month, you also know that extra cash left over at the end of month is free to use. Grab your calendar and write down any important dates, including the times of the year when you may need to pay for irregular expenses like insurance. It’s also worth picking a date at the end of each month where you’ll have time to sit down and re-assess your budget for signs of anything that you might want to change. Your financial situation can change rapidly from one month to the next. 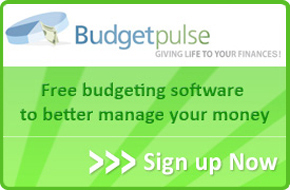 Scared that budgeting is going to be too difficult to do alone? Then get some help. No-one ever said that you had to transform your habits by yourself. If you’re married and you’re working on achieving goals that affect the whole family, then encourage your spouse to get involved with the budgeting too. Sit down once a month with anyone else who contributes to your bills or income, and make sure that you know what you’re doing to reach your targets. You can make these monthly meetings a little bit more fun by creating some delicious snacks and drinks to enjoy while you’re adding up the numbers. By the end of your session, you should both feel like you’re on the same page. Even if you have every part of your month planned down to the last penny, there’s a chance that you could have missed something that’s going to throw your entire budget into turmoil. An unexpected birthday party for one of the kids, or a sudden leaving present that you’re expected to contribute to at work can change everything. That’s why it’s so important to be prepared for the unexpected. To make sure that you don’t end up overwhelmed by unexpected costs, create a buffer in your budget that you can rely on to get you through when something doesn’t go according to plan. If you notice any expenses that end up frequently coming out of this buffer, you might need to add them to your permanent budget plan. Credit cards can seem like a savior when you don’t have enough cash available to pay for something that you want. However, the truth is that they’re actually the enemy of anyone who wants to stick to their budget. Anything you buy on your credit cards is sure to come back to haunt you – particularly when money is tight. With that in mind, it’s a good idea to get rid of your credit cards entirely wherever you can. Take cash with you to the grocery store instead, or make sure that you’re only paying for whatever you need on your debit card. At least that way you won’t have any extra interest to worry about. 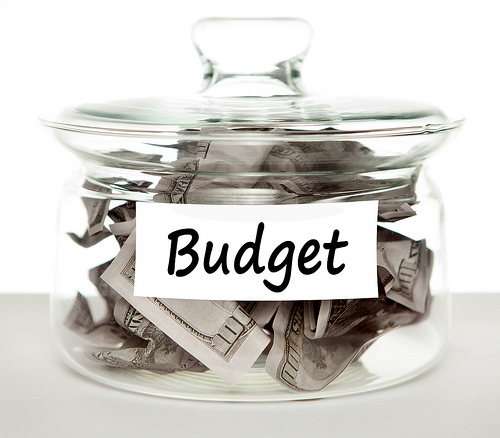 Finally, remember that having an effective budget doesn’t have to be an exhausting process. Don’t force yourself to track every receipt and payment you make with a piece of paper and a pen. That’s a sure way to end up getting tired of your budget before it’s had a chance to make a real difference. Instead, look into some of the popular smartphone apps that you can download to track your budgetary spends for you. These apps make watching your money easy, so you don’t have a huge pile of paper to work through every time you want to update your spending habits.